Gregg Braden is one of the first voices that I came across during my initial awakening process and I wanted to add him to the list of resonate voices that is growing exponentially during this great unveiling. Gregg is very articulate and well versed on the big picture or what we often refer to as the “Nature Of Reality” a broad sweeping term that covers pretty much “Everything”. He like many of us is coming to the same conclusions , that consciousness is the only true substance in the universe, wherever consciousnesses looks , we find , which is why we will never find the end to the universe, we will never find the smallest particle. Its like the illusive carrot at the end of the stick , because ultimately we are just chasing our own tail , because in reality there is no out there , and all of the “Technology” that we use to explore the quantum level and the Macro level will always lead us back to ourselves and the ultimate in technology , and that is the “Human Body”. Nothing compares to the technology of the human body and we have all we need right here to explore the entire multiverse, we just need to remember how to reactivate all of the potentiality that exists inside of ourselves. This is the primary message Gregg and many other voices are bringing to the forefront . Gregg Braden also believes the keys to unlocking this transformational process is unconditional love, compassion, understanding , empathy , all of the heart virtues. 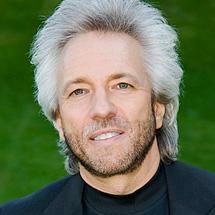 Check out the books below by Gregg Braden !